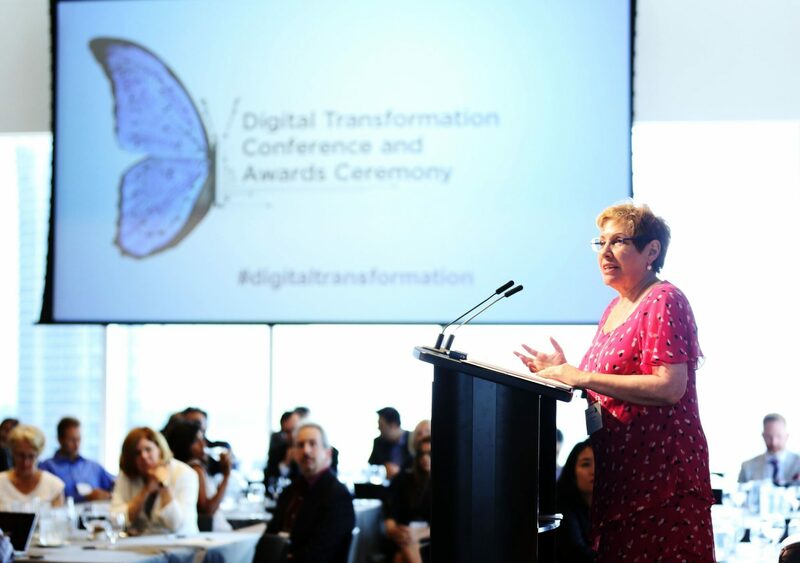 TORONTO – More than 200 delegates from more than a dozen of Canada’s top tech companies descended on Toronto’s Globe and Mail Centre last week for the 2018 Digital Transformation Awards, organized by ITBusiness.ca parent ITWC. 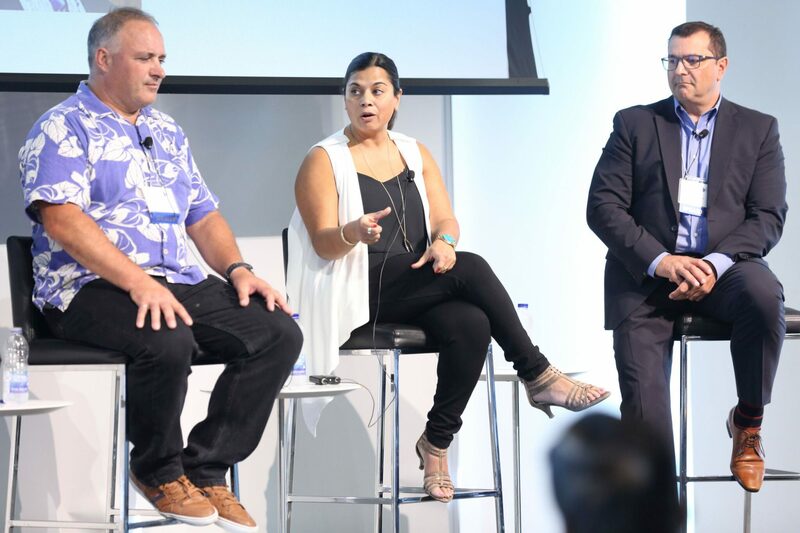 The event’s hosts, ITWC president Fawn Annan and CIO Jim Love (above) presided over a day of lively discussions, case studies, and most importantly, lessons for the many, many “software companies” across the country – a moniker that, Love pointed out, can refer to most companies in general in the age of digital transformation. Read on for tips from BlackBerry, OpenText, AWS, Moneris, and more! With files from Brian Jackson and Meagan Simpson. 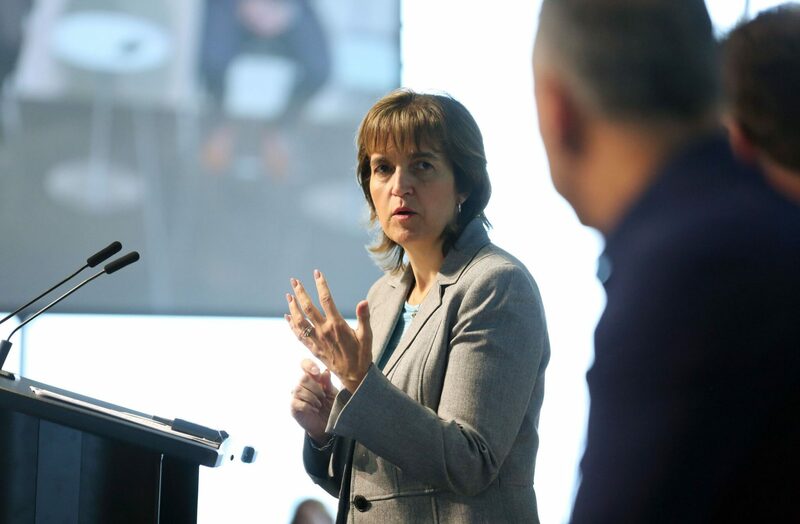 When introducing the conference, ITWC president Fawn Annan emphasized that, to paraphrase Charles Darwin, digital transformation means that it’s no longer the strongest of the species that survives, nor the most intelligent – it’s the one most adaptable to change. Adapt business models all the time to focus only on meeting user needs. Appearing on a panel to discuss the answer to “How does a smart business gears up for smart technology?” AWS country manager Eric Gales (second from left, alongside Peer Ledger CEO Dawn Jutla; SecureKey CEO Greg Wolfond, and TD vice president of North America mobile Steve Brar) said that he personally is turned off by case studies presenting advancement as a straight line of improvement, when the reality is the opposite: digital transformation occurs in bits and pieces, and often requires maintenance and, more importantly, change agents to move forward. 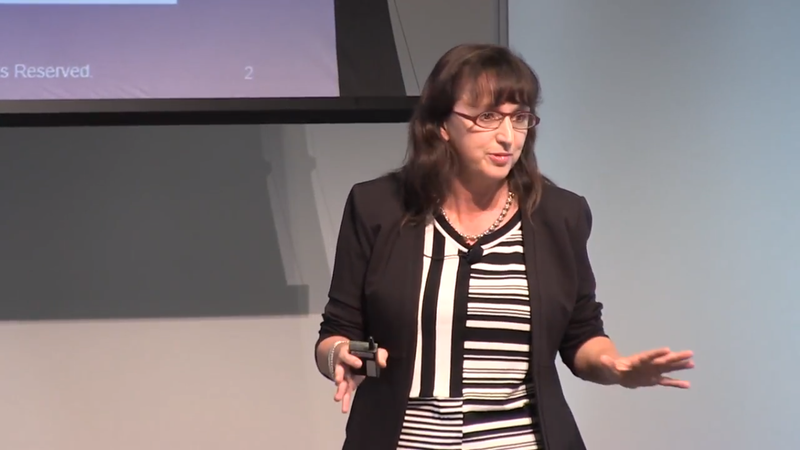 OpenText vice-president of cloud and services Solutions Lynn Elwood was on hand to present the results of a recent study, conducted in collaboration with ITWC, that found only 52 per cent of financial institutions across Canada had digital transformation pilot projects underway, and only 6 per cent considered their organizations fully transformed. 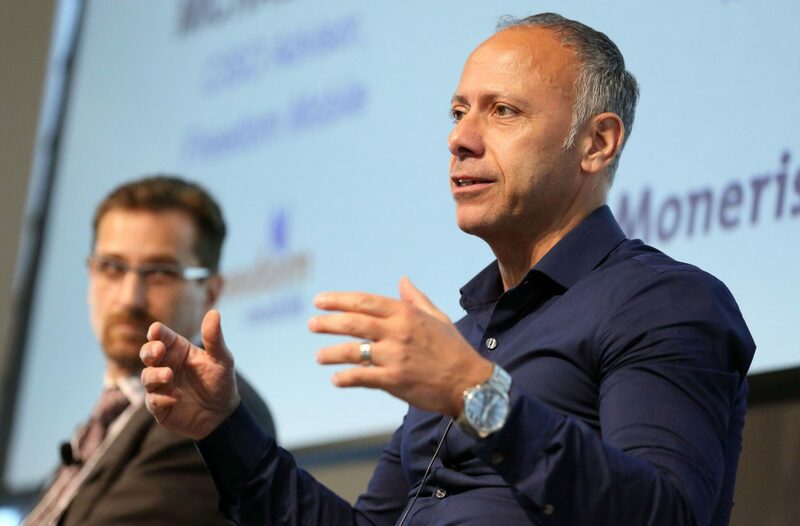 Responding to the OpenText and ITWC study, Matar said that he finds most organizations have trouble moving quickly because of their dependence on legacy platforms, and that in his opinion their philosophy should incorporate ongoing platform upgrades, allowing them to slowly chip away at the problem. “It’s a little bit of a lack of leadership and a lack of innovation that’s going on,” he said. 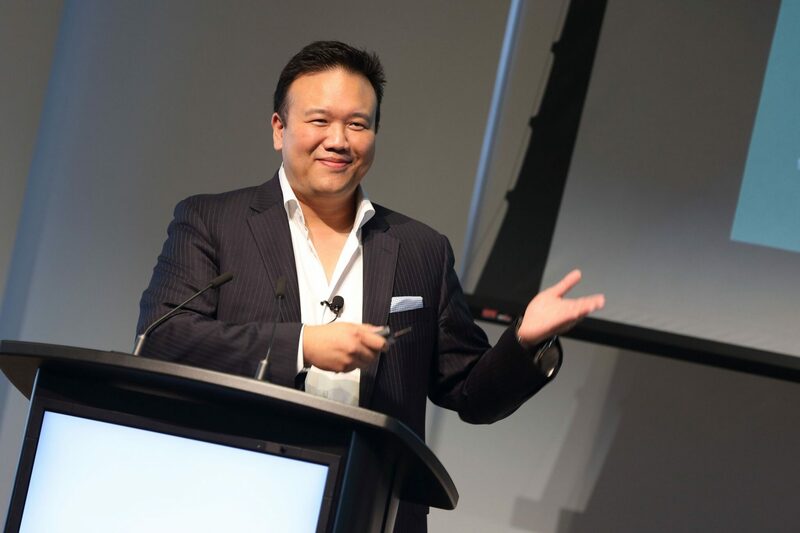 Globalive chief strategy officer Eric So spent his lunchtime presentation discussing blockhain technology and cryptocurrencies and how both can change the way people invest. The crux of his presentation was that people can use the digital information generated by their online activities to create value and accumulate money. 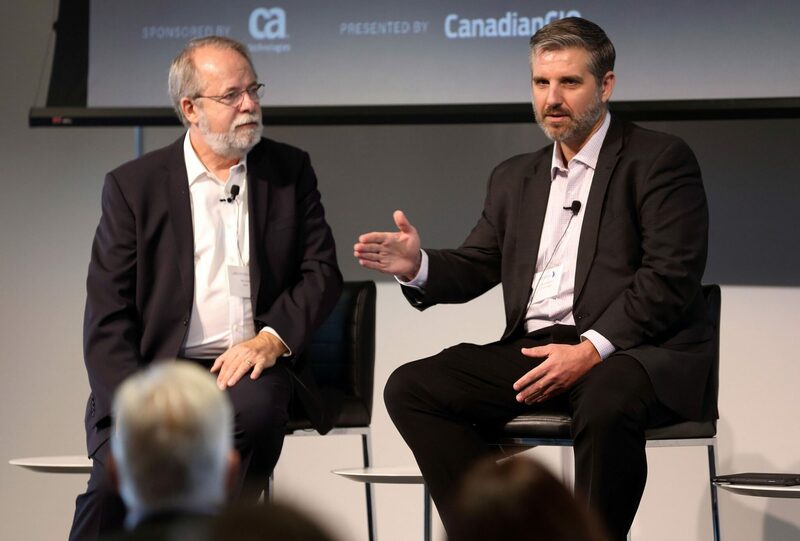 ITWC CIO Jim Love (left) and CA Technologies senior director Kovar Gregory discussed the latest findings of our annual CanadianCIO Census, which found that 44 per cent of respondents planned to increase the number of workers under them over the next year – a testament, Gregory said, to the business case for digital transformation. When it came to barriers against further transformation, the Census found the leading cause equally divided between culture (33 per cent) and employee skills (31 per cent). 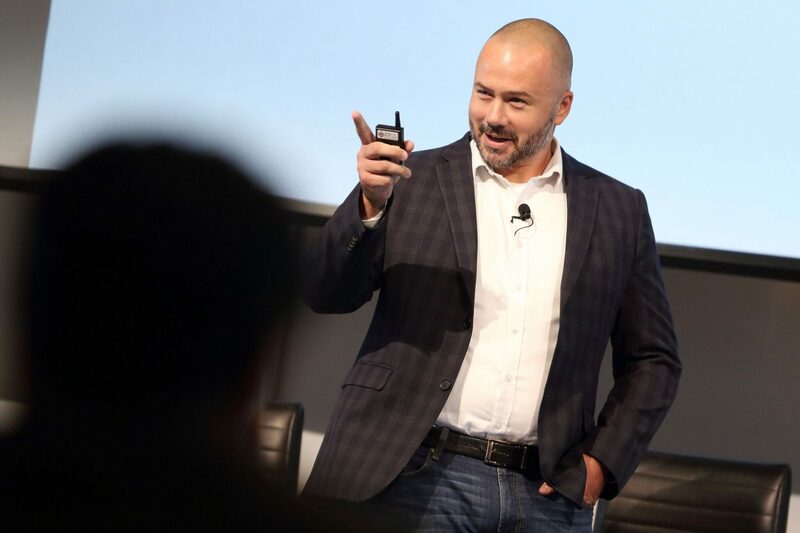 “At the top you can mandate something, but unless everyone in the organization buys into it, you won’t get those efficiencies,” Gregory said. 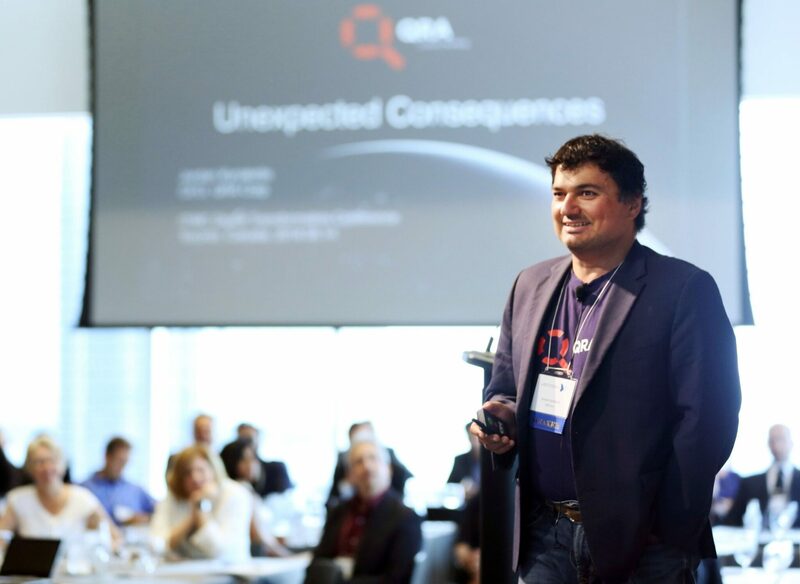 Jordan Kyriakidis, president and CEO of Halifax-based QRA Corp, told attendees that if they wanted to solve a complex operational problem with digital transformation they should consider building a multi-disciplinary team. During a panel titled “Moving Beyond the Hype: Separating AI Fact from Fiction,” SalesChoice Inc. CEO Cindy Gordon (who was joined by Blue J. 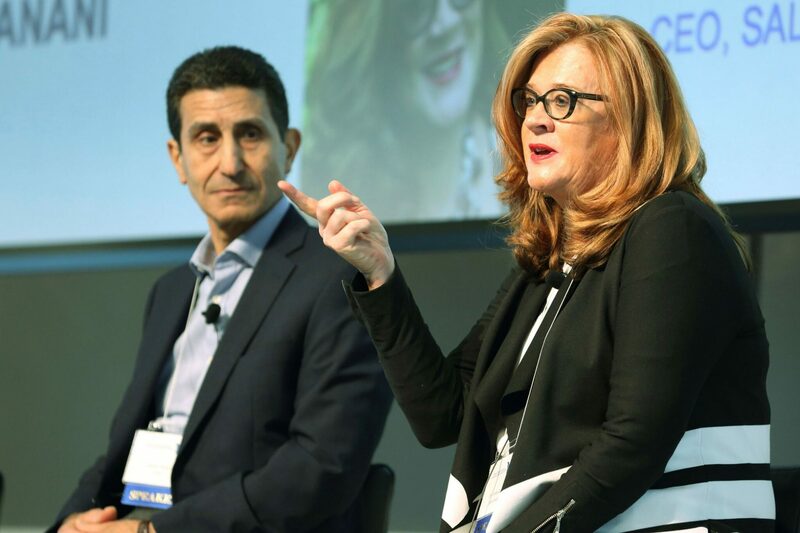 Legal CEO Benjamin Alarie; Ernst & Young risk advisory partner Cathy Cobey; and ICTC president and CEO Namir Anani) advocated for the future value of educating yourself about artificial intelligence by noting that China has decided nationally that AI will be in every school curriculum from junior kindergarten onward. Few Canada-based success stories in the tech industry loom as high in the national memory as BlackBerry Ltd., and as senior vice president Margaret Stuart illustrated in her presentation, that should still be the case, given the company’s impressive pivot from smartphone manufacturer to security and automotive software company. “It’s a lot more profitable to be a software company than a hardware company, I’ll tell you that,” Stuart told the audience. Keeping her presentation in line with the conference’s theme, Stuart noted that security is a leading barrier to enabling what BlackBerry calls the “enterprise of things,” and used a case study involving accounting firm Graham Mathew to illustrate how the company helps mitigate the problem. 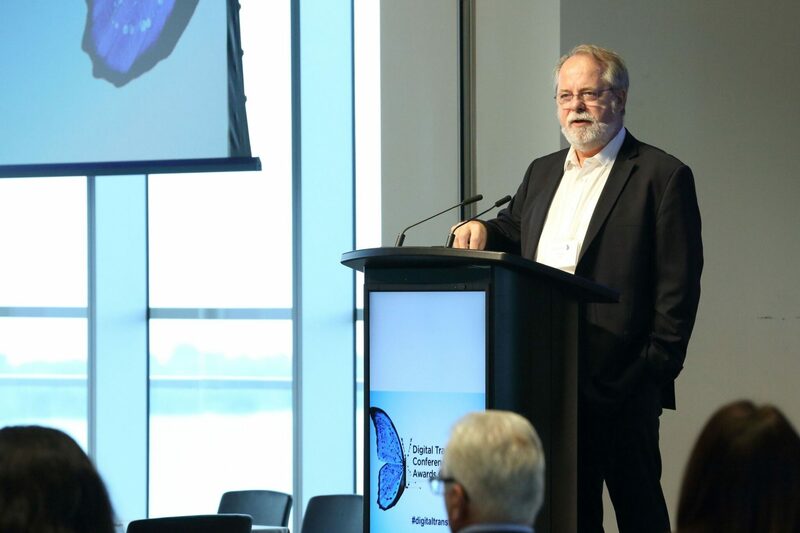 City of Vancouver CTO Jessie Adcock was among the panelists discussing “Digital Transformation from the Trenches”. 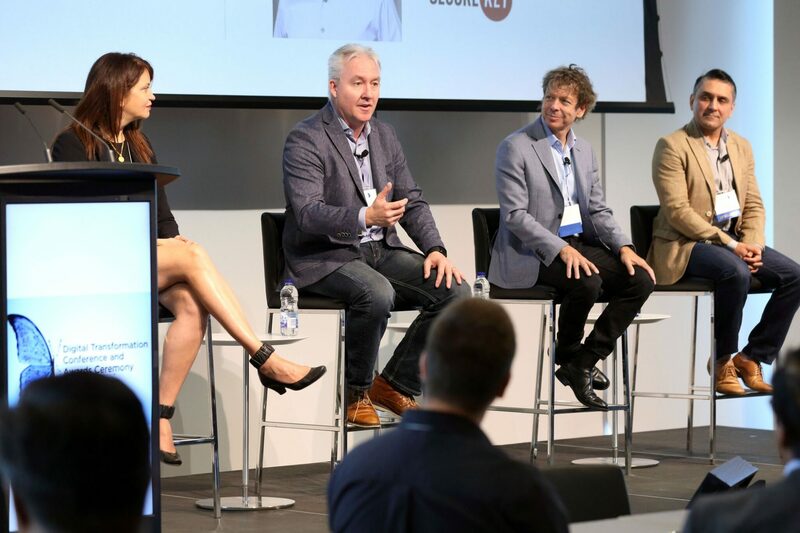 Other experts who joined Adcock on the panel included Microsoft Canada national technology officer John Weigelt; Nav Canada CIO Claudio Silvestri; SmartONE Solutions Inc. president Ted Maulucci; and Startup Canada co-founder Victoria Lennox. In a section cheekily titled “Whippersnappers” in the conference program, three teams of students between the ages of 12 and 17 pitched the tech startups they had developed with assistance from digital education centre SteamLabs: One had developed a street light designed to give the elderly more time to cross the road; another had developed a traffic monitoring app to ease congestion; and Bhavagnya Badarala and Rahul Drakonicon, above, had developed a smart watch that monitors air quality. They did a better job of holding the audience’s attention than any other speaker, too. The evening was capped, of course, by an awards presentation honouring the year’s best digital transformation projects. 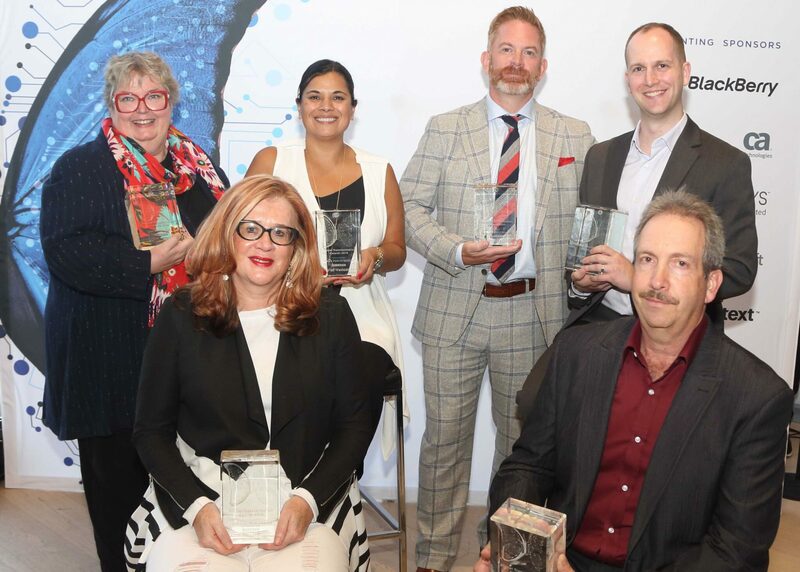 From left, CTO Roberta Fox collected an award on behalf of Crisis Services Canada’s (currently suspended due to lack of funding) multi-platform suicide prevention line; Saleschoice CEO Cindy Gordon accepted on behalf of her company’s win in the Artificial Intelligence Disruptor category; CTO Jessie Adcock accepted on behalf of the City of Vancouver; CIO Mark Bryant accepted on behalf of 110-year-old PCL Construction; Loblaw Digital senior director of software engineering Sean Tozer accepted on behalf of the grocery giant’s in-house e-commerce startup; and Telefilm Canada director of administration and corporate services Denis Pion accepted an award for the crown corporation’s digital administration platform. August Community Slideshow: What's on your summer reading list and why?